Send us sand from your favourite beach and we’ll use it to create the texture in your new piece of jewellery. All we need is a tablespoon of sand per item. 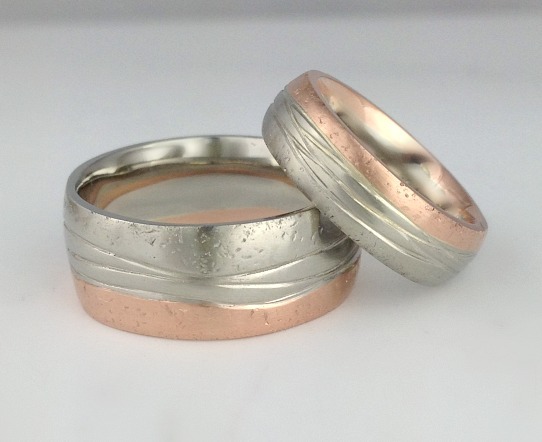 Couples getting married have sent us sand from each of their favourite beaches to create their wedding bands. Airlie grew up on the East coast of Canada, she sent us sand collected from Prince Edward Island. Simon grew up on the West Coast of Canada, he sent us sand collected from a beach in British Colombia. Airlie’s sand created the texture shown in the rose gold sand dunes and Simon’s sand created the texture shown in the white gold sections of the rings. Water waves are carved in between. 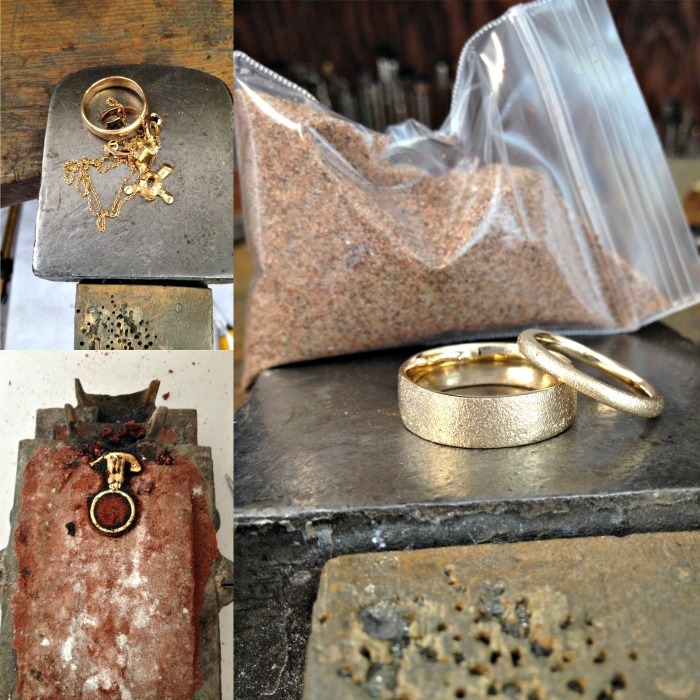 An Island couple collected sand from the beach where they first met to create the texture on their wedding bands and we melted down their family heirloom gold to cast the new. How romantic! Sand was collected from each partner’s favourite beach. The fine Prince Edward Island sand was used to cast one-half of their wedding bands. The gravelly New Brunswick sand was used to create a more rugged texture in the other half of the bands by hammering the metal onto the rocks. The designs symbolize the red sands and water waves of PEI and the wood grain of NB trees. Lovely sentiment for the mutual water and nature loving couple. 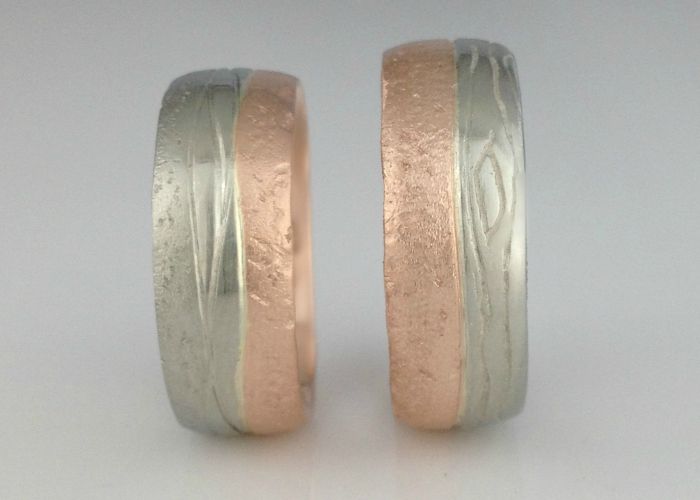 Interested in having your wedding bands or a special piece sand cast? Send us your sand. To send us your request click here. If you’d like to browse more of my designs click here.